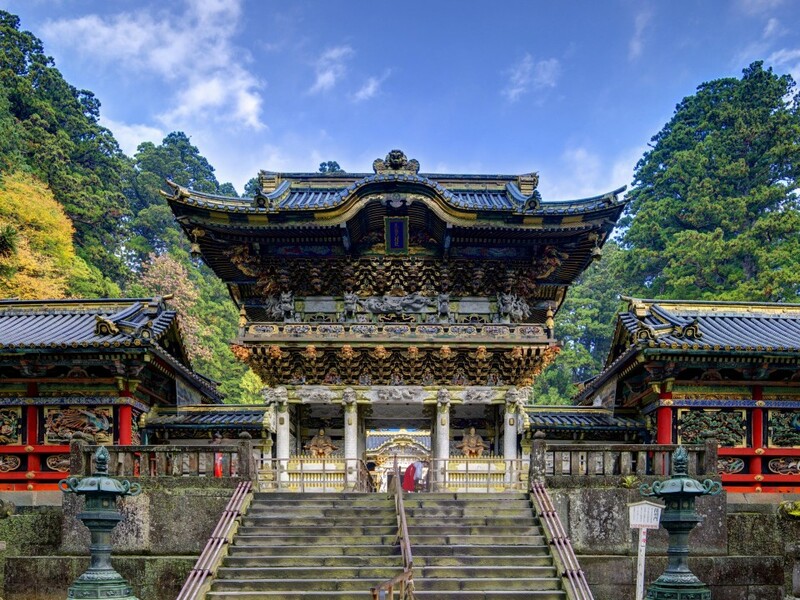 Nikko is one of the most historically significant cities in Japan, situated between the mountains of north Tokyo. 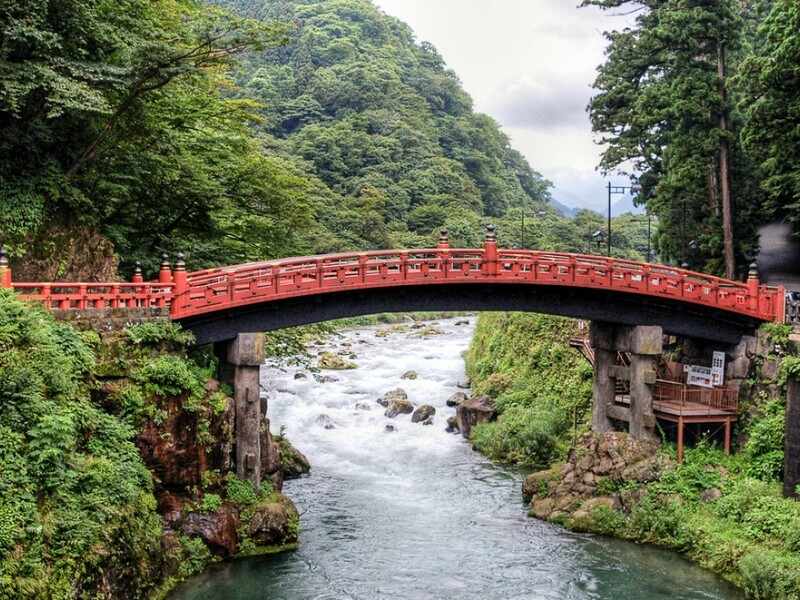 The city is located in very close proximity to the Nikko National Park, which offers great views of the mountain peaks, as well as numerous waterfalls and hot springs, where you can spend the day taking long and relaxing walks in nature. Walking around the National Park also offers the opportunity to spot a wild Japanese monkey. 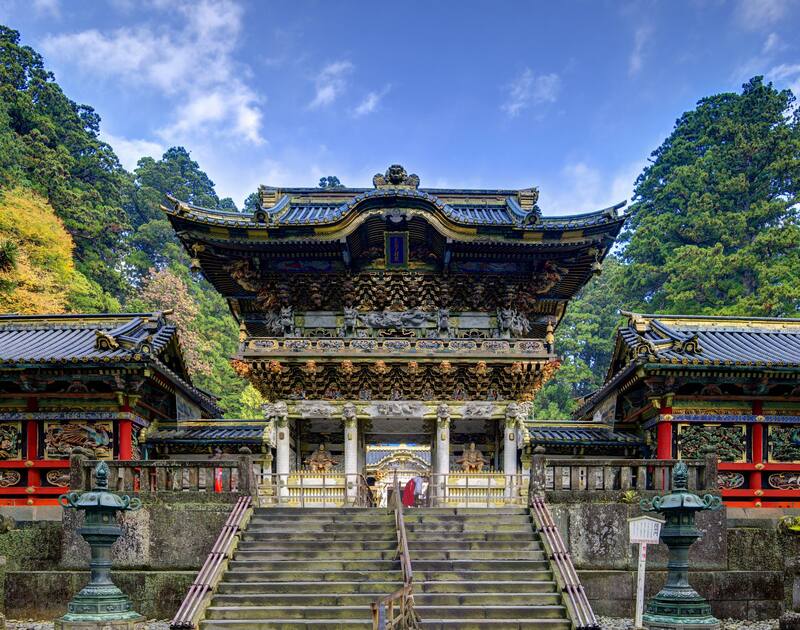 The city of Nikko is famous for the sophisticated and elaborate decoration of its local shrines. Probably the most significant shrine in Nikko would be the Toshogu shrine, which is now the mausoleum of the well-recognized Tokugawa Ieyasu, the leader and founder of the Edo period in Japan, also known under the name of the Tokugawa shogunate. Reaching Nikko from the Japanese capital is quite simple. 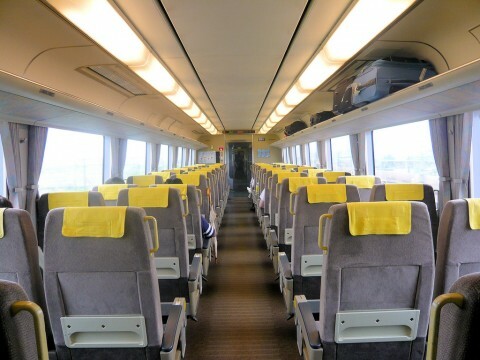 From Tokyo Station take the Shinkansen (bullet train) Yamabiko to Utsunomiya Station. 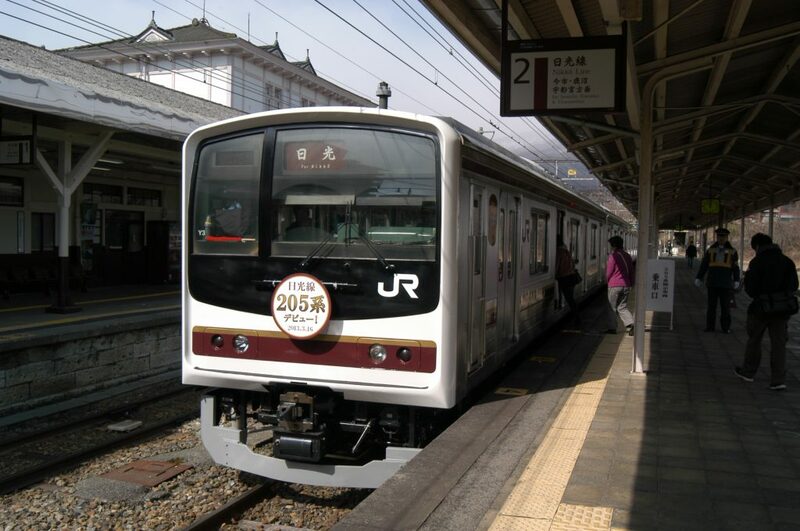 Once there, change to the JR Nikko Line to Nikko Station. 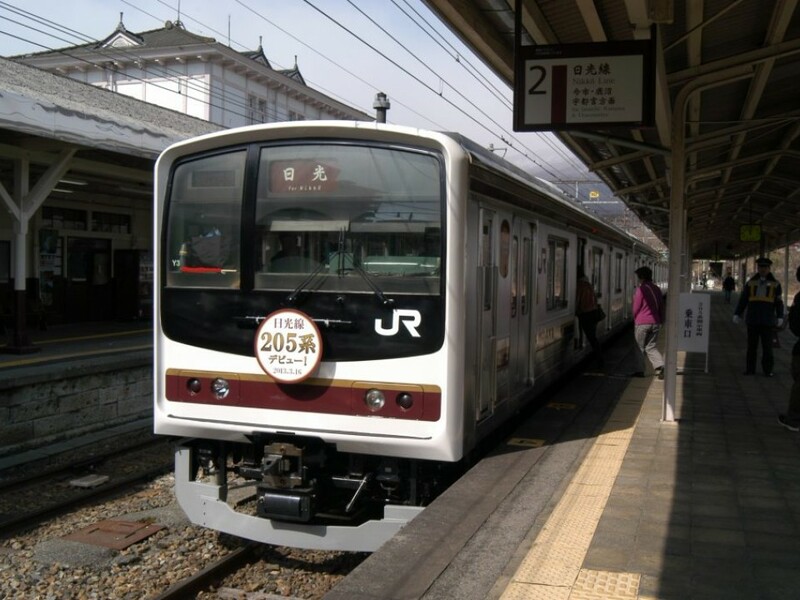 The trains run approximately every hour, which allows for very easy and smooth planning. The Kegon Waterfall is almost a 100 meters (328 feet) tall and is among Nikko’s most famous waterfalls. The locals recommend visiting the place during autumn, when the colors of the surrounding mountain peaks make the waterfall stand out with unique colors. Tip: To get the most out of Kegon Waterfall, try to visit it on a sunny day. The water’s reflection of the light will make for a truly unforgettable experience and some amazing photos. The Yutaki Waterfall offers another unforgettable experience for the whole family to enjoy. Depending on the season, you will be able to capture either the vivid colors of the surrounding nature. The diverse and shining autumn colors make this season one of a kind. Tip: Try to get there in the early morning, to be able to enjoy to the fullest the serenity and peace of the place. Especially if you are visiting the waterfall during autumn. Nikko's Toshogu Shrine is the symbol of and dedication to the founder of the creator of the (first) Tokugawa Shogunate of Japan, Tokugawa Ieyasu. When visiting the shrine you will notice a rather large number of animal sculptures, all of which symbolize peace in Japan. The most distinguished one is the "Three Wise Monkeys" sculpture, representing the traditional Japanese maxim "See no evil, speak no evil, hear no evil", thought by some Japanese Buddhism schools. Tip: Make sure not to be in a hurry, when visiting the Toshogu Shrine. Allow yourself at least a couple of hours to discover the shrine, its five story pagoda and the fascinating architectural details. 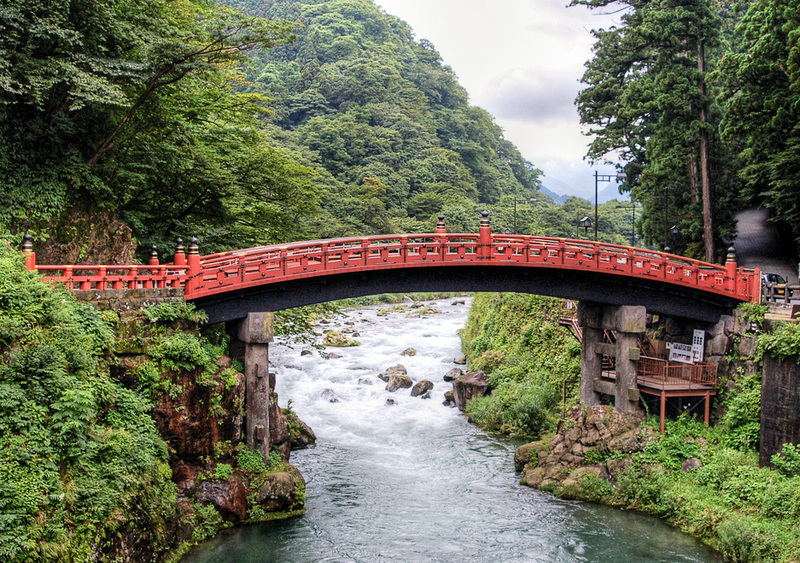 The so called "sacred Shinkyo bridge" is located at the very entrance of Nikko's temples and shrines, as if crossing the river marks the beginning of the city's past and present becoming one. Apart from its geographical significance, the bridge is locally ranked as one of Japan's top 3 best bridges. 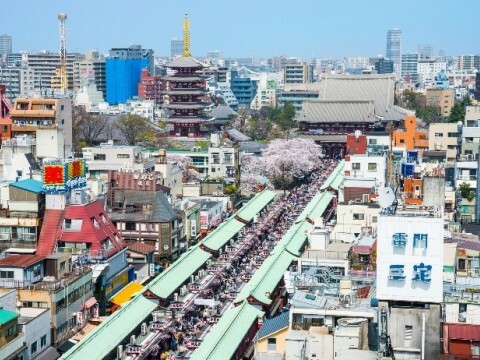 Take note that the due to its significance, the bridge is closed off to the public, however, its picturesque beauty can be caught from the nearby bridges, on your way to the shrines. Tip: Pictures of the Shinkyo bridge turn out very impressive depending on the light. Early mornings and sunsets are the trend. 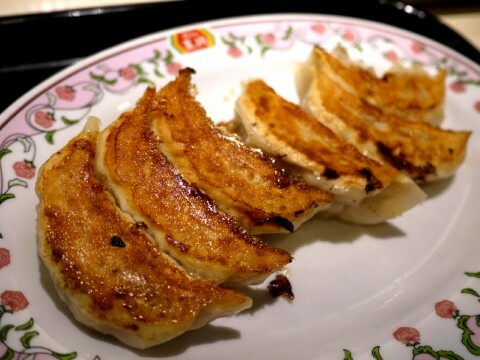 For a truly wonderful end after a tiring day in Nikko, make sure not to miss out on the Kanmangafuchi abyss. 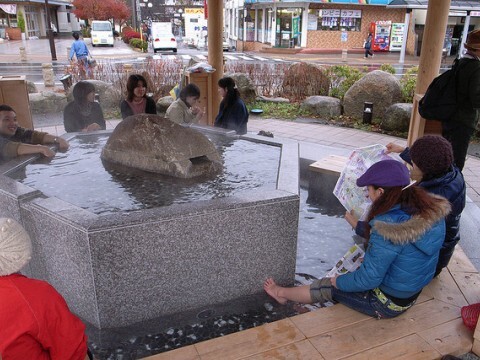 Visiting the abyss is typically included in some historical tours around the area, which is another great option to learn more about the roots of Nikko. If you happen to the there after a rainy day, you will be able to hear the absolute silence, interrupted only the sounds of nature itself. 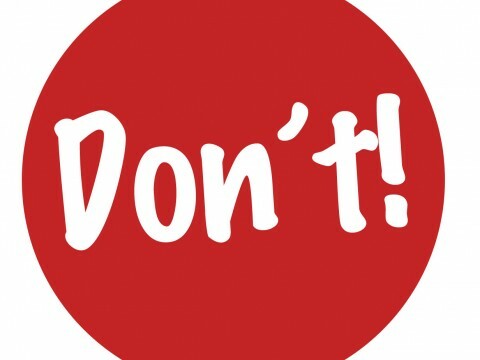 Tip: Don’t forget your camera! The popular opinion is that you will not be able to stop making pictures, irrelevant of the season or time of day.